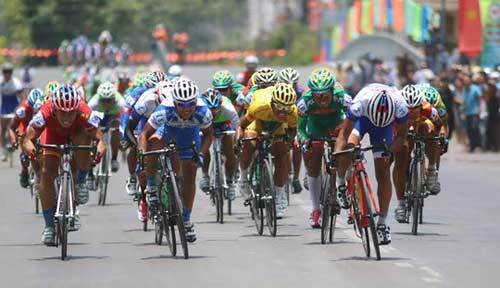 HA NOI (VNS) — The best cyclists from 12 teams nationwide will participate in the 27th HCM City Television Cycling Tournament that begins on April 11 in Ha Noi. This year, the cyclists, including national team members, will compete over 2,100km, divided into 19 stages that will cover 17 cities and provinces. The event will begin in Ha Noi and finish in HCM City on April 30. The winners will receive a huge bonus of VND1 billion (US$46,400), with the yellow jersey holder pocketing VND100 million ($4,600).